The GX is available as a standard three axis machine with optional 4th Axis Rotary Stage, or 5 Axis Trunnion Table. ​The Minitech CNC Mini-Mill/GX is the most affordable precision-ground, granite frame, micro machining system on the market. 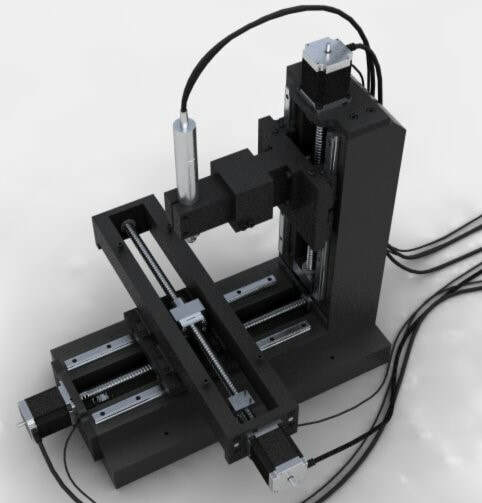 Minitech builds these machines using THK caged-ball linear bearings and high precision ball-screws for all stages. Each base is precision ground, polished and aligned to the micron level. The Natural Granite construction offers excellent stability and strength along with a high degree of vibration dampening and thermal stability benefits not found in any other material. The GX is ideal for Microfluidic, Micro-electromechanical, Nanotechnology Industries, Jeweler, Research Laboratories and many others. Manufactured by Minitech in the USA for worldwide distribution. ​Machines can be modified to meet your specific needs.